The staff, exceptional. Apartment large clean, perfect location. Cozy. The host walked us to the apartment and was very helpful. It was very convenient to walking everywhere and was very clean. Location close to main promenade mall, quiet with new insulated windows. Older room needs updates. Staff was friendly, brought us cappuccinos while we waited for our room as we checked in early. The apartment was near everything, you walk all the way through the streets easily. cafes and bars and restaurant are near too as well as tour centers. The apartment receptionist was very helpful and kind...special thanks to GORANA. We enjoyed our stay, everything about the apartment was wonderful, I recommend it for couples or families. Gorgeous room and a great location. Very friendly and helpful staff. The apartment was super clean. Location was very good. The local grocery store was also just across the street. The owner was also helpful. Apartment was remodeled in what looks to be recently. It was very clean and attractive. The beds were comfortable. Michael who checked us in was so helpful! He even rode with us in our car to show us where to park. 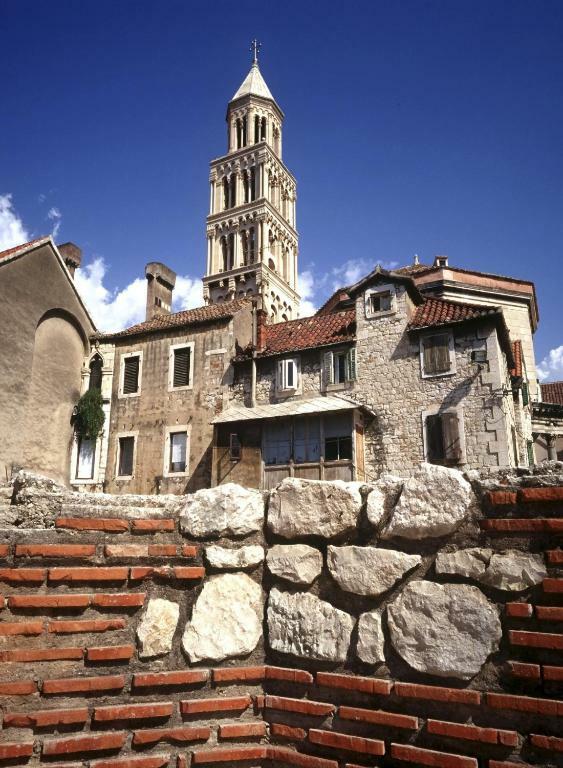 Prime location in old town Split, less than 10 minutes walk to pretty much everywhere, 5 minutes to the Riva. Comfortable apartment, lots of room, tremendous value, and so close to everything that we often popped home to drop of packages, change close and what not. 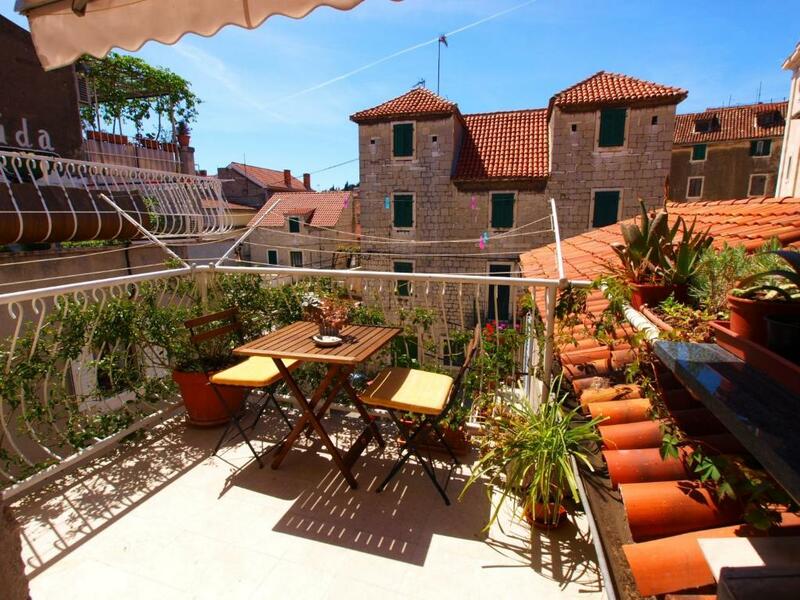 Lock in a great price for Apartments Gajeta – rated 9.1 by recent guests! Apartments Gajeta This rating is a reflection of how the property compares to the industry standard when it comes to price, facilities and services available. It's based on a self-evaluation by the property. Use this rating to help choose your stay! One of our top picks in Split.The air-conditioned Gajeta apartments are located in various buildings within a 150 feet radius in the center of Split. 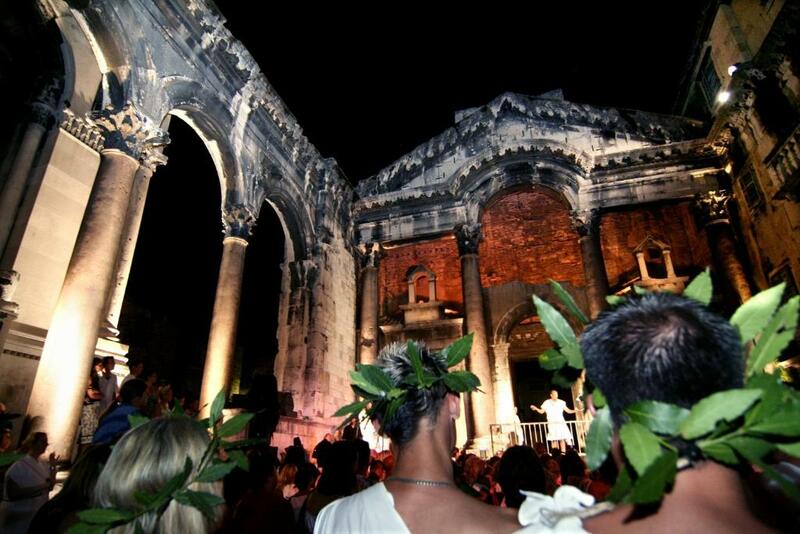 Diocletian's Palace and the Riva waterfront are only about 250 feet away. Free WiFi access is available in all the units. All Apartments Gajeta have a kitchen or a kitchenette, dining area, flat-screen TV, DVD and CD player. Bakeries, a supermarket, a bank and the fish, fruit and vegetable markets can be found in the immediate surroundings. The scenic Marjan hill covered with pine forests is only a 10-minute walk away from the apartments. 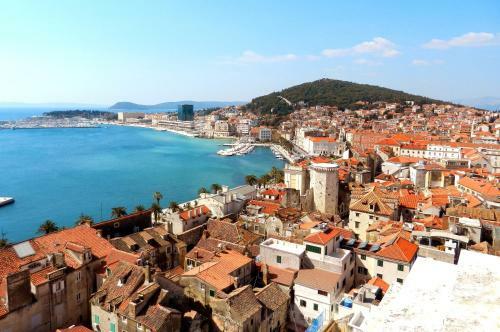 뀐 Located in the real heart of Split, this property has an excellent location score of 9.5! 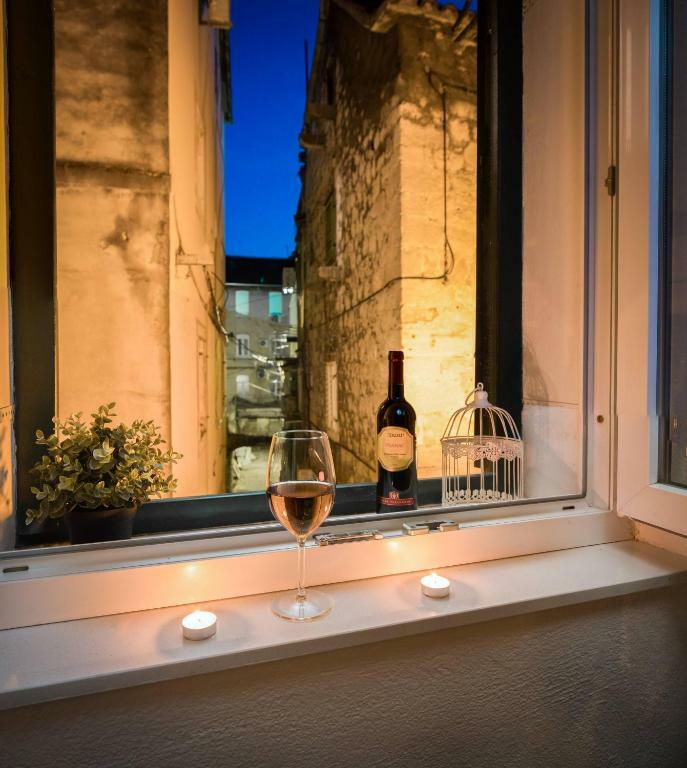 When would you like to stay at Apartments Gajeta? This apartment features air conditioning, tile floors and bright colors. It consists of a bedroom with a large double bed, an LCD cable TV and a fully equipped kitchenette with a dining area. A private bathroom with shower is also provided. This apartment has air conditioning, natural colors and hardwood floors. 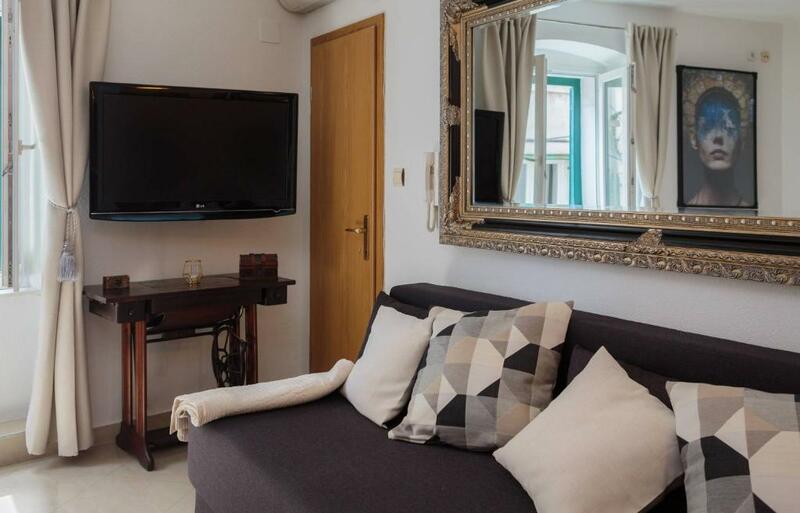 There is a single bed in one bedroom and a double in the other (the bedrooms are interconnected), while the living room has a sofa, cable TV and a kitchenette. it has private bathroom with shower. This apartment features air conditioning, hardwood floors and bright colors. It consists of a bedroom with a large double bed, a room with separate beds and living room with sofa bed, a LCD cable TV and a fully equipped kitchenette with a dinning area. A private bathroom with shower is also provided. This apartment has 2 floors. There is a open kitchen leading to the dining room and a living room, a bathroom with shower, and a bedroom with 2 beds (can be double bed) on the first floor. A bedroom with a double bed and a bathroom with shower are available on the 2nd floor. This apartment has air conditioning, hardwood floors and modern furnishings. 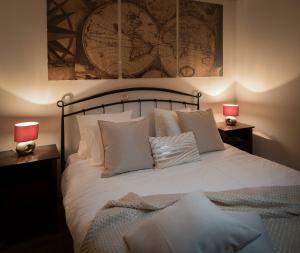 The bedroom comes furnished with a large double bed, while the living room have a sofa bed, cable TV and a full kitchen. A private bathroom with shower is also provided. This apartment has a 2 bedrooms (one with a double bed and a single bed and one with 2 single beds), a kitchen with dining/living area room, a bathroom and a toilet. Air-conditioned apartment split into 2 levels and featuring 2 private bathrooms with shower and hairdryer, a fully equipped kitchen, a seating area and a terrace. This apartment is located on the 3th floor. It consists of a bedroom with a king size double bed, and a fully equipped kitchen with a dining area and living area with a sofa bed for 2 people. A private bathroom with shower is also provided. This apartment features an LCD TV, air conditioning and CD player. This apartment features air conditioning, hardwood floors and bright colors. It consists of a bedroom with a large double bed, a LCD cable TV and a fully equipped kitchenette with a dining area. A private bathroom with shower is also provided. This apartment features air conditioning, hardwood floors and bright colors. It consists of a bedroom with a large double bed, a living room with sofa bed, an LCD cable TV and a fully equipped kitchenette with a dining area. A private bathroom with shower is also provided. House Rules Apartments Gajeta takes special requests – add in the next step! Cash Apartments Gajeta accepts these cards and reserves the right to temporarily hold an amount prior to arrival. Apartments Gajeta accepts these cards and reserves the right to temporarily hold an amount prior to arrival. Please note that keys have to be picked up at Domilijina street 2. Please inform Apartments Gajeta of your expected arrival time in advance. You can use the Special Requests box when booking, or contact the property directly using the contact details in your confirmation. 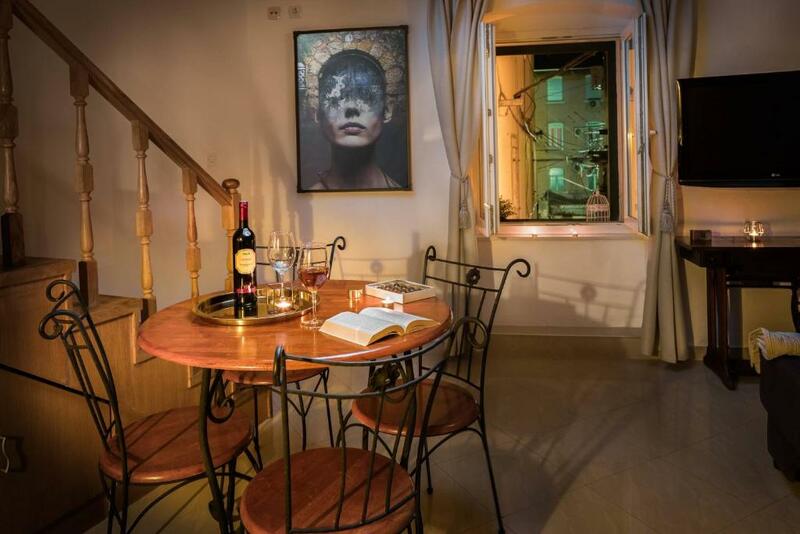 The place is perfectly located in the Old Town, close to shops, restaurants and the Marjan Forest. It is very comfortable, equipped with proper kitchen. Apartment is on the fourth floor and no lift. Not suitable for those who can’t carry their luggage up. No parking so have to fight for the limited parking lots along the street and is chargeable 75 kn per 24 hours. Excellent location and staff were helpful. Beds are a bit uncomfortable. The spiral staircase that connects the living room and the bedroom. There is a piano in the living room which made us felt homely. There are two bathrooms in the apartment. We had a pleasent stay at a prime location and very helpful host. Very spacious apartment. He given us all information we needed. also arranged early check-in for us. wonderful. 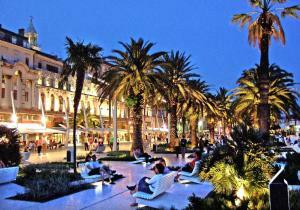 Hingly recommend this place for your stay at split. The bed was extremely firm. Quite trivial really. We could have done with a few extra clothes hangers in the wardrobe, but we cannot honestly think of anything else. Every thing about the property and the staff who met us. In anticipation I did have some apprehension about what to expect, but the accommodation was spot on and exceeded all expectations. Sorry that I didn't get the staff member's name, but there he was, late in the evening and waiting out on the street to greet us and to answer any questions. Great service. There are great street eateries all around the apartment and many nice supermarkets. The apartment has a sofa bed. It would be good if there were curtains in the living room for the person sleeping on the sofa. Extra pillows for the bed would be nice. 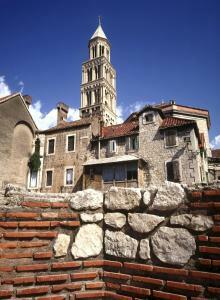 Great location, close to the heart of Split and easy to find.Reception open early and host friendly and helpful. Clean and well appointed, good for self catering. Very affordable in a convenient location. We found the bathroom a bit too compact. It would have been nice to have hooks to hang towels on. The apartment was very clean, the location superb and the host very helpful and accommodating. Small bathroom, only 1 mirror toilet had an issue last day but to be fixed. Bed was ok. It was a last minute booking as we extended our stay.